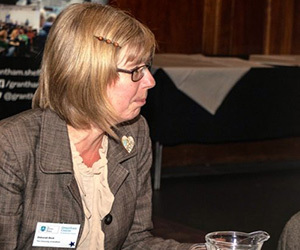 Women from across the University of Sheffield came together recently to share their achievements and celebrate the end of the academic year at a showcase event, as part of the Women@TUoS Annual General Meeting. 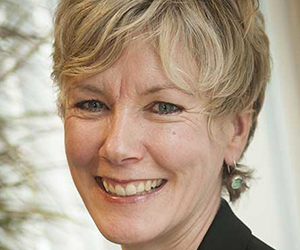 For International Women’s Day 2018, Claire Moran, Communications Officer for the Grantham Centre for Sustainable Futures, wanted to connect the work of the university more closely to gender equality. "But the problem was that all our senior team is male and only a third of our team of academic supervisors are women," says Claire. The themes of IWD 2018 called on everyone to celebrate women’s achievements, influence the beliefs and actions of others, and challenge stereotypes and bias. "Our students may see a lot of men at the top, but our students are 50/50 male to female, and come from all over the world, from all sorts of different socioeconomic backgrounds, and across all the disciplines at our University," comments Claire. 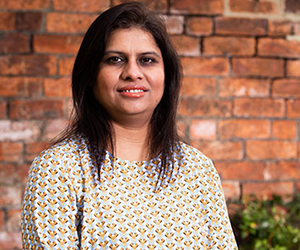 "I decided to do something to show the women of the Grantham Centre that, despite their lack of representation at the top, there are women all around them doing incredible things, including groundbreaking research, but also ‘hidden’ work to further sustainability - such as organising training for our students. I asked all our women - staff and students - to write something for IWD and I got an incredible response. I was genuinely moved by the diversity of interest and what I learned about the people I work with." 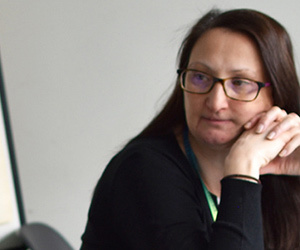 "My line manager described her career history – how she had moved from being a teacher, to the Civil Service, to an MA, and then the University, where she works with dedicated zeal as the Programme Manager for the Grantham Centre. I featured these stories on our website and across social media, and they made an impact. Those writing the stories commented on how good it felt to contribute to IWD. But the students were especially motivated by it." The stories reached an audience of more than 7000 people on Twitter alone, and were shared widely across the globe. The website traffic rose by 300% in response. The stories also formed part of a brochure on the Grantham Centre, which was featured at an international alumni event in America and presented to the founder, Jeremy Grantham. "The brochure was a big success and I received a Recognition Award for it," says Claire. "These stories about women’s work show that whilst we do not have equality yet, it’s nothing to do with the calibre and capabilities of women. The women students who we are training to fight for our planet’s future need to be reminded of this. They need both to see other women blazing a trail and to have their own voices heard. Although I can’t change the world, this project showed me that I can do something in my own small corner that makes a difference." 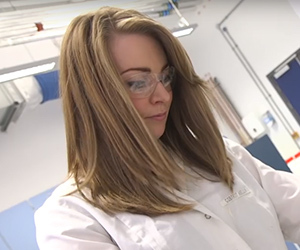 Stacey Mottershaw, Employability, Placements and Alumni Officer in Automatic Control and Systems Engineering explains how having worked at the same grade for a few years, last summer she found herself looking for a new challenge. "No new roles were really jumping out at me, so instead I decided to pursue a long-term desire to start my Qualification in Career Guidance through a postgraduate course at Nottingham Trent University," explains Stacey. "I knew that this would be a big commitment both in terms of finance and workload, so I approached my departmental manager with a business case as to how the course would support my current role. They agreed to fund the course, which enabled me to start in September 2017." At first, Stacey was lacking in confidence, having been out of formal education for quite a while. But she had nothing to worry about. She threw herself into the course and her new studies, achieving a distinction in her first thirty-credit module and she's recently just found that she's gained a distinction overall. "Despite doing this course on top of working full-time hours and a busy social life, I've found it to be something that I am truly passionate about and have worked hard to maintain a healthy work-study-life balance so that each element continues to be satisfying - if a little challenging to organise!" 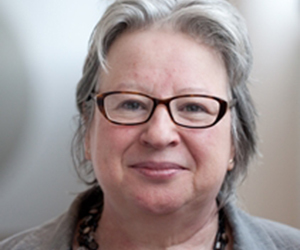 Cathy Shrank, Professor of Tudor and Renaissance Literature, School of English. explains how in 2014 she secured a three-year, fully funded Major Research Leverhulme Fellowship for a project to explore dialogue from the late medieval period to the late seventeenth century - the first-ever major study of this kind. "We tend to want to share our successes rather than our failures, but my experience is a reminder of the benefits of taking those knockbacks and persevering if there's an idea that you believe in." "I first applied for funding for this project in 2002. This was for a (smaller) Leverhulme fellowship, but I was rejected without feedback. I tried again in 2007 for a British Academy Research Development Award. The project was awarded a Grade A but was still rejected. Five years later, I made another attempt, going for a European Research Council ‘starting’ grant. I reached the final interview stage but was eventually rejected. Undeterred I tried again a year later but didn’t even make it past the first stage. Finally, after re-submitting to the Leverhulme Trust, I met with success. I received a Leverhulme Major Research Fellowship to pursue a project I had been wanting to research for 12 years." Both the success and failures Cathy has encountered with grant submissions have taught her that a grant needs to be lucky as well as good: no one - however brilliant - is guaranteed a success rate of 100%. "Therefore, as researchers, we should try not to personalise the rejection. In putting together the initial application, you’ve done a lot of the hard graft already. It’s worth dusting yourself down, and trying again, particularly if it’s a project you want to do and really believe in." Feedback from funding bodies on unsuccessful applications is often limited, or even non-existent, so use feedback from colleagues and your own judgment. Check regulations around grant submissions carefully: are you eligible to resubmit? Are there special circumstances (e.g. career breaks/parental leave) to take account of? When revising the application for a different scheme, make sure that you have reshaped it to meet the criteria for that funding scheme: it’s unlikely to be a matter of wholescale cutting-and-pasting. Sometimes it’s worth compromising to get the project funded: what matters most or is a current priority for you? You might not be able to find funding for the entire project as originally conceived. "Finally, remember that the only grant that you’ll never get is the one you haven’t applied for. Obviously, the same applies to jobs too!" "I am very proud of what I have achieved in my career over the last few years, whilst dealing with considerable challenges and difficulties in my personal life. It has shown me how strong I can be, and how much I can achieve," says Abbie McGregor, Faculty IT Manager in Arts and Humanities. Before Abbie had children she worked in various roles with significant responsibility and oversight in Secondary and Higher Education. She stopped working to have children and was a full-time mum for seven years. In 2012, after her marriage ended she returned to work and took up a Grade 4 post at the University. Having been out of the world of work for a long time, Abbie went for a job that she knew she could do and wouldn't be too stressful to break her in gently (and it paid just enough for her to get the mortgage she needed). "However, three weeks into the new role, my eldest son was diagnosed with Leukaemia and my world was turned upside down," explains Abbie. "The University and my job was so important to me during that time, it gave me stability and was a source of distraction, whilst my manager and team were very understanding giving me the support and flexibility I needed to do a job that didn't cause any stress but also take leave when I needed it to support my son and our family through this incredibly difficult period. In 2014 I progressed to a Grade 5 role in Psychology." "Last year, a job came up at a Grade 8 level that was right up my street, but I wasn't sure whether or not to apply for it, I didn't know if I was ready for the responsibility. Before I’d had kids I'd worked at this level but I didn't know if I could do it again and balance my work and busy life. In the end, after thinking things through, I went with my gut feeling and applied." "I was overjoyed to be offered the job and I couldn't be happier - it's my dream job! I'm the Faculty IT Manager for Arts and Humanities - I'm employed by CiCS to carry out Business Relationship Management and deliver IT services in the faculty. I manage a team of eight men and I'm pretty sure they all respect me (if they don't, they do a good job of pretending they do!). I've recently been appointed co-chair of Technet where I hope to continue the good work of the previous chairs and help to raise the profile of the technical community at the University. I feel as a woman in IT, I've always had to work hard to gain respect in a predominantly male dominated field." Outside of the role, Abbie has recently completed the Sheffield Leader 3 development programme and I’m part of a Women in Tech UCISA group, hoping to inspire girls to consider a career in this sector. As for achieving a successful work-life balance, Abbie is managing to juggle everything and "most importantly keep my kids reasonably happy, after all - you can never keep them 100% happy, otherwise you’ll set yourself up for failure." "This suffrage centenary year in Britain has been an exceptionally exciting year for me," says Dr Julie Gottlieb, Reader in Modern History, Department of History. "With both challenges and opportunities to make a difference to how women are represented in the public eye, in public spaces and in our civic culture, combined with the status and recognition of women closer to home, namely in our workplace here at the University of Sheffield." A real high point was Julie's work as a historical adviser to Gillian Wearing on her statue of suffragist Millicent Fawcett, helping her to determine the list of 59 suffrage campaigners to be commemorated around the plinth, establishing a balance across class, ideological, regional, generational, religious and even gender lines. "The day of the unveiling of the statue, 24 April, was a ride!" says Julie. "What a feeling it was being part of history, being a participant-historian if you like, and sharing with the nation the satisfaction that the first woman (and some 50 others around the plinth) now took her place in Parliament Square. From being pretty much marginalised or forgotten, these women have now been etched into heart of national history and memory." "I am just as excited to be curating the Suffrage 100 strand of Off the Shelf in October, putting Sheffield on the map as a suffrage city. And it certainly has an important place in suffrage history: the first women’s suffrage society was established by Ann Knight in Sheffield in 1851! It has been such a unique moment in history to weave together my research expertise, my policy ambitions, and trying to make a difference to how students and colleagues think about leadership." 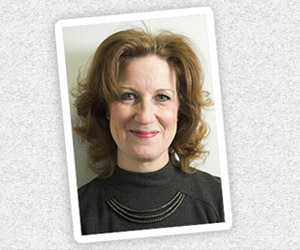 Aside from Julie's research, as Chair of the Arts and Humanities Equality, Diversity and Inclusion Committee, she's helped to inform and deliver on University priorities but also expand the Committee’s remit and reach. "One of the best experiences was building strong relationships with Women@TUoS, HR, and the Students’ Union, and not allowing disciplinary or other barriers to stand in our way of achieving something together. Highlights this year were the session on ‘Gender in the Curriculum’ headlined by leading gender studies scholar and activist Professor Andrea Peto, and ‘Women and Leadership’ (which became the Women@TUoS annual event) where we invited women political leaders from across the party spectrum and from all levels of government, to inspire us but also warn us." "Indeed, one of the main takeaway points from both these events was the risks that we all run, and women disproportionately, of being the victim of abuse when performing our professional roles. What is expected of us has changed radically since I began my career as a history lecturer some 20 years ago. More and more of us put a lot of effort into public engagement, making our research impactful, and emerging into public roles that take us outside our comfort zones of the classroom or the closed-shop academic conference. However, what happens when in the line of duty, when we are using social media or speaking on public platforms about our work, we encounter the wrong kind of reactions, get trolled, or worse? We need to be sure that the University is there to support us in these situations, has a protocol in place, and that the risks we take are taken seriously as EDI issues—as we all know, inappropriate or abusive behaviour will usually target its victim on the basis of equality/gender, diversity/difference, and inclusion/health and disability." "We can be bold for change only if the right systems of support are in place. Now this is something to keep working on, and that work is just one way to demonstrate that anniversaries are not just moments for nostalgia and looking back. Anniversaries like Vote100 are mobilising and motivating, setting the agenda for the next 100 years." 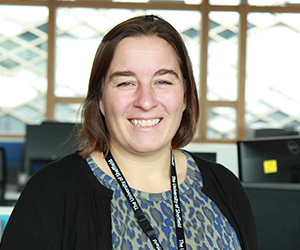 Helen Worsfold, Finance Officer - Team Leader, Department of Automatic Control and Systems Engineering began running just over 5 years ago, early in 2013. Initially for fitness, but she soon went from being a casual (moany) runner to it being a main hobby. "I joined a running club and got involved with setting up the volunteer team at Rother Valley parkrun. I became a regular Run Director and part of the core volunteer team at parkrun." Helen progressed up through the distances, looking for jer niche, and in 2014 she ran her first marathon. "I realised that distance running was my thing and I knew I could go further than 26.2 miles. So I thought I’d have a go at an Ultramarathon." "I ran the White Rose 50K (approx. 30 miles) and I was hooked! I decided to up my distance further and take part in Round Rotherham 50-mile race. It’s a much nicer route than it sounds and it was here that I realised that ultramarathons are basically just eating contests with some running in between food stops – you even get a shepherds pie and rice pudding at the end, meaning that my love of food and running could be combined!" 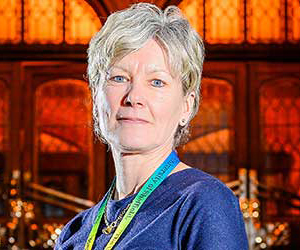 During this time, Helen also ran in a relay team for a 24-hour event - a team of 8 runners had to complete as many laps as possible in 24 hours. "I was inspired by the 'solo runners' and thought ‘I can do that’. So in 2016, I ran my first solo 24-hour race. If I’m honest it was hellish. A 3 mile – extremely hilly – loop! I learned during this that I was scared of night running and frogs. There were a lot of frogs…… However, I still went on to finish as the second placed woman, or possibly first as the result system was totally chaotic, I guess we’ll never really know!" Searching for something a little less hilly, Helen ran her second 24-hour race last year at Endure 24 in Leeds. "I’d gained an ultra running buddy by this time and the two of us laughed our way round – my fear of running in the dark was easing and after an emotional, sometimes hysterical, 24 hours I crossed the line in tears, broken, but I’d done 70 miles and was the 8th woman out of a pretty large field which I was over the moon with. However, the consequence of pushing myself this far was my first and only DNF (Did Not Finish) at a 30 mile mountain race, 4 weeks later, where I didn’t meet a cut off at 24 miles and was asked to stop – I was devastated by this and learned some valuable lessons on letting your body recover properly!" "So far this year I have run a marathon and a 43-mile ultra marathon, which should have been 40 miles but I got lost…! At the end of June, I will be participating in the Leeds Endure 24 again where I’m hoping to go further than last year. It’s not easy living with an ultra runner – but I’m lucky to have an incredibly supportive (runner) husband and step daughter. You should see our weekly food bill!" "The women who have helped to run the #WeAreInternational campaign are of all ages, roles and nationalities, but our work and mutual supporthaves been at the core of a campaign which has become increasingly important in standing up for internationalism and student and staff mobility." 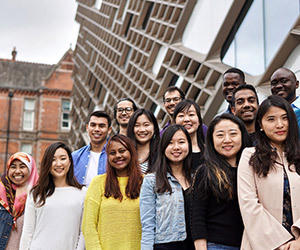 The #WeAreInternational campaign started at the University of Sheffield but has been adopted across the UK and beyond. It has become even more meaningful since its inception in 2014, especially with Brexit on the horizon. "I am proud of being able to contribute to such a talented and passionate group of women who have really made the #WeAreInternational campaign what it is today." "I first came to the UK from Malaysia to study Law as an undergraduate in 2012, I barely spoke any English and I had no idea what to expect from studying abroad in the UK. I had fluent written English, which was necessary for my course, but writing and speaking in a foreign language are two very different things. Over the last six year,s I’ve had so many incredible opportunities at the University, from being an International Students’ Representative of the Endcliffe Village Community Development Committee, alongside my studies, to becoming a Student Intro Week Coordinator in my second year. I was then elected to the role of International Students' Officer at the Students’ Union in my final year." "In 2016 I became the Project Officer for #WeAreInternational, working alongside colleagues in Corporate Communications to help re-launch the campaign following the Brexit vote. I’ve had incredible opportunities that I have never thought I’d experience and grown confidence in my own abilities and ambitions. In Malaysia, things are changing, but sometimes women are not given the respect they deserve. Some of my extended family are against women’s education and expected me to get married and start a family. So it’s these opportunities I’ve had whilst being at the University that have got me where I am today." Working, on the #WeAreInternational campaign has shown Peggy that working or studying at university, "makes us all international - UK students and staff, as well as those from countries abroad. My colleagues and I are working hard to enact change with the #WeAreInternational campaign, including holding a Parliamentary Reception last summer to encourage MPs to engage with the campaign, lobbying the government to take international students out of immigration targets, and getting over 160 universities, education institutions and international organisations to sign up to the campaign." "The campaign will continue to ensure our research and scholarship knows no geographical boundaries and our students and staff from around the world are able to celebrate their own cultures and friendships." 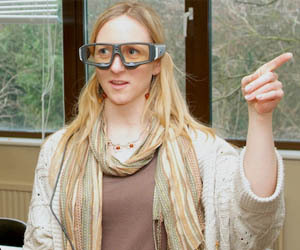 Women achieve great things in their careers at The University of Sheffield. Find out how one of the leading universities in the world could see you take on fabulous challenges throughout your career. Search and apply for jobs today!